STAT-C-ROAD includes pickup, cable and Schertler’s sophisticated YELLOW BLENDER preamp with regulated AC power supply. The preamp enables players to control a range of parameters including gain, EQ and resonance. I have been using Schertler pickups with my cello since 1988 when I met Stephan in St Gallien, Switzerland while on tour. I had heard about the pickups, and once I tried the 'Stat C Vin’ I was convinced that this was the one for me. My opinion has not changed, and I have been using them ever since. These pickups bring an exceptionally warm and vibrant tone without overly accentuated highs or lows. The ‘YELOW BLENDER' has also been an invaluable piece of (‘piece of gold’) equipment that is always with me when I play. With two channels, phantom power, and fantastic EQ parameters, I feel prepared to adapt to any situation that I encounter, particularly when I’m on the road and experience challenging performance rooms and equipment options. The 'A-Dyn’ (I can’t wait to try the now upgraded to the 'DYN UNI P48') has also given me extended options, (indispensable when borrowing a cello on the road). The ‘STAT PRE’ has always been at the core of my electronic tonal expression since 1988: a must have for these pickups. In the past, my approach and goal with pickups was to electronically emulate the sound of my acoustic cello. I now realize that my electronic sound (with Schertler Pickups and Electronics at the core of it), is equally as important, enjoyable and fundamental to my work. Tone, timbre and response are among the highest priorities for me when I perform, and I absolutely could not play the cello the way that I do without these wonderful pickups. Playing and sharing music is a wonderfully collaborative way of life for me. 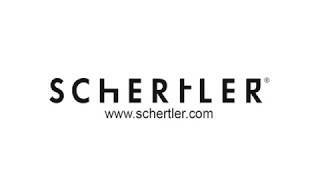 I am so happy that I’ve discovered these wonderful pickups, and all of the other advanced electronic devises that Schertler has offered to the world. Thank you Stephan Schertler and Company. The housing, which contains the transducer element, gets glued to the cork piece. The cork piece transmits the vibrations from the bridge to the electrostatic sensor, which then transforms the mechanical vibrations into an electrical signal.